Any time spent in New York is going to be exciting but imagine staying in some of the city's most exclusive luxury hotels? You know those with the Manhattan zipcodes where the likes of Times Square, the MoMA and the Empire State Building are all on your polished marble doorstep and views over Central Park or the Hudson are just as gorgeous as the antique furniture and designer décor that you'll be treated to inside. Below are our top 10 luxury hotels in New York and if you're looking for an urban retreat to really remember then right here is where you take a step into the high life. Good luck Gatsby, you old devil you. The scene: Set like a glittering jewel at the heart of Midtown Manhattan, the Grand Hyatt shimmers and shines just a few steps from Grand Central Terminal which means guests are instantly connected to a range of boutique stores, fabulous restaurants and phenomenal architecture. Aside from the GCT, the 42nd Street and Park Avenue location marks visitors out for the very best of New York City, with: Broadway, Central Park, and Times Square all just a short stroll away. The stay: A stay at the Grand Hyatt New York is all about keeping yourself fully tuned before and after you've hit the streets with a 24hr fitness centre and Yoga facilities ensuring there are never any excuses for a good old stretch. Concierge and in room spa services allow you to feel like a VIP in NYC with sophisticated linear designs and full range of business services creating a luxurious balance between old school New York heritage and bang up to date contemporary amenities. The sleep: Over 1.300 guest rooms and suites, all featuring legendary Hyatt Grand Beds, are guaranteed to help you get some zeds after a good day checking out the sights with high-speed WiFi access available so you can make the folks back home green with envy. All accommodation includes a Geneva Sound Station with iPod docking station and an HDTV flat-screen TV in addition to touch panel lighting to ensure you're wired for sound and state-of-the-art tech. Marble showers, stone flooring and complimentary June Jacobs bath products add up to a whole heap of fun in the bathroom while great city views, complete with black out blinds, let you make the most of the spacious living areas in your own time. The scene: Fitting the Park Avenue postcode down to the ground the Loews Regency has been open for business since the 60's with all of Midtown Manhattan's iconic buildings and landmarks easily accessible on foot. Just out of the hustle and bustle of the main commercial districts the Loews Regency is just a 5 minute stroll from Central Park, the National History museum and the MET, so appeals just as much to parents travelling with kids as it will to couples looking for romance. The stay: Why go out for burgers when you have steak at home? The Regency Bar & Grill is the perfect setting for an evening off the tiles although you'll still find plenty of excuses to get out and about, especially after one of the hotel's famous Power Breakfasts – Boom! An all day menu features a great range of regional and organic produce with the Sant Ambroeus Café on hand for a quick pick me up during sightseeing or as an alternative to the Regency Bar or Lobby Lounge. A full range of business, entertainment and kid friendly services are at your finger tips with Signature Park Avenue upgrades and family packages offering the very best of NYC hospitality. With the Julien Farel Salon & Spa open throughout the day you'll never have any excuses for not shopping till you drop with a spacious fitness centre available to help you work up an appetite or work off a few of those totally tempting NYC cheese cakes. The sleep: Almost 400 guest rooms and suites enable everyone to get a good night's rest in the city that never sleeps with award-winning customer service and amenities to keep you satisfied and sated from dusk till dawn. State-of-the-art in-room tech includes: free high-speed internet access, electric window blinds, Smart TVs and even flat-screen TV's built into the bathroom mirrors. Plenty of space and contemporary designs ensure a stay at the Loews is a cut above the average with an array of room arrangements to suit all manner of guest needs. The scene: As the Hudson Hotel is situated on West 58th Street you'll find yourself close to many of Midtown's major landmarks, including: Central Park, Carnegie Hall and Columbus Circle all of which are within easy walking distance. The hotel itself has become synonymous with the energy and style associated with this affluent district of New York City with beer halls, cocktail bars and the Hudson's seasonal Sky Terrace providing the talk of the own for those in the know. 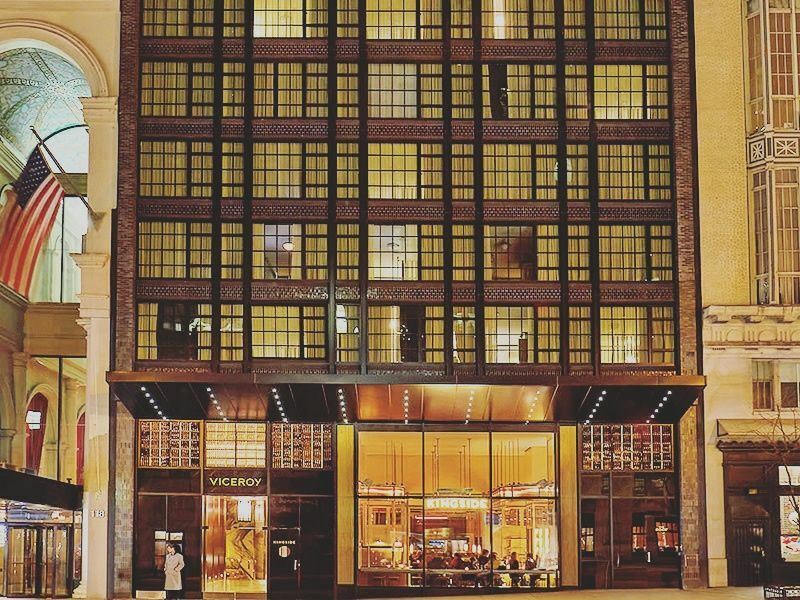 The stay: Dining and drinking at the Hudson is just as cool and classy as the ambience with raw brickwork and open plan arrangements helping to bring the bench tables of Hudson Common to life and the undercover contrasts of the Private Park bang on trend. Choosing between the Sky Terrace, the Library Bar and the Hudson Bar is always tough, and if you're looking for somewhere to work up an appetite or work off those late night cocktails then the Hudson Gym never fails to take you to another level, along with spa treatments to keep things on an even scale. The sleep: A great range of rooms and suites stretching from single to penthouse help to make the Hudson an accessible luxury retreat for all fashionable travellers with clean and bright, almost, colonial style designs forming the basis for a chic urban getaway to set your pulse on fire. Contemporary, sleek and certainly cool best describes room interiors with iPod docking stations, flat-screen HD TV and plenty of space adding to the sophistication of wooden walls and flooring that's been imported all the way from Africa. The scene: Located in Manhattan's uber trendy NoMad district of New York City, the Gansevoort Park Avenue offers downtown a touch of uptown class with high ceilings and a three storey lobby area helping to turn the corner of 29th and Park Avenue into something of a legend, even by NYC standards. Just a few steps from Times Square, Broadway and Madison Square Garden, the Gansevoort Park Avenue promises much and never fails to deliver with awesome views from the roof to match. The stay: There's no place better to work on your hunger pangs other than Asellina that boasts an array of fine Italian favourites including some of the very best award-winning desserts. If you're searching for a touch of beach chic in the Big Apple then The Drift provides an open air experience like no other with beach influenced dishes, cocktails and good times adding to summer in the city as viewed from twenty storeys up until the wee small hours. 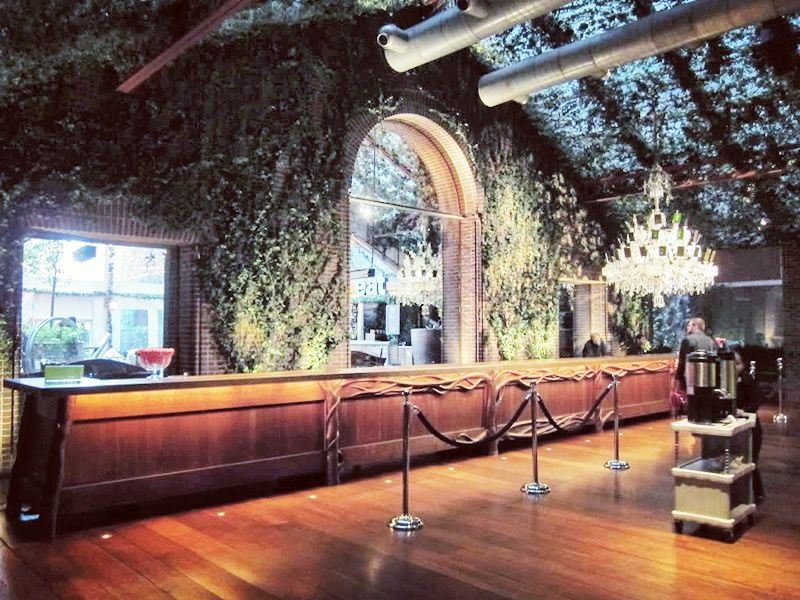 From a rooftop swimming pool and 24 hour fitness and spa area to therapeutic massages and a full on hair and beauty salon, Gansevoort Park Avenue gives you the chance to get your glam on before and after you've hit the town. The sleep: Just shy of 250 guest rooms and suites make up the accommodation for Gansevoort Park Avenue with typically spacious lay outs providing all you need to rest and relax in the city that never sleeps. From complimentary WiFi and state-of-the-art sound systems to Egyptian cotton linen and plush feather beds, complete and utter comfort is never in doubt; and if you're looking for a spot of in-room entertainment then 24 hour dining, concierge services and movies on demand always hit the right spot after you've finally called it quits. The scene: Just a couple of blocks over from Central Park, the Viceroy Hotel is all about boutique luxury in the Big Apple with the energy of 57th Street combining effortlessly with the nostalgic charm of Manhattan. Set within the beating heart of the city, just a little left of centre, the Viceroy has untold cultural and entertainment options slap bang on its doorstep with Rockefeller Plaza, Saint Patrick's Cathedral, Carnegie Hall and the Time Warner Centre all within easy walking distance. This is luxury living how it used to be with a superb blend of contemporary style and old fashioned grandeur helping guests make the most of New York City no matter what they're in town to see or do. The stay: Street level dining but by no means, dining on the street, the Kingside restaurant at the Viceroy is perfect for an authentic taste of the new world with the 29th storey lounge and roof terrace known simply as The Roof New York, making for an ideal setting from where to cap off a day in some style. Aside from the Viceroy's restaurant and bar areas guests are invited to dine in the comfort of their own rooms whenever they darn well feel like it, with the hotel's gym and fitness suite also available 24 hours just in case you fancy a little night time stretch. The sleep: A sensible selection of suites and guest rooms make sleeping at the Viceroy an inspired choice with thoughtful room details and designer comforts adding up to one heck of a night in the city. Signature king size beds are super comfy with contrasting wood designs and marble bathrooms creating an elegant yet modern vibe that's topped off rather nicely by Beats sound systems, high-def flat-screen TVs, free wireless internet access and a cheeky little Illy espresso maker. The scene: The theatre district setting does nothing other than add to the excitement of a stay at the W Times Square with Grand Central Terminal, the Ball Drop and Radio City Music Hall just around the corner. If you've never heard of W properties before then you're in for a treat as it's the little touches that makes this legend on the luxury hotel circuit go the extra mile, well that and the awesome customer service which is absolutely second to none. In this particular NYC property there's a newly renovated Living Room area which has been delightfully decorated to represent Times Square how it used to be, back in the heyday. The stay: The Living Room is simply mesmerising. Like a James Bond villain's lair crossed with an uber cool teenager's vision of their future bedroom. Seriously, you've got to check this out. Step away from the bar and you'll find Dos Caminos promising a whole lot of Mexican whilst Blue Fin is all about the seafood and rustic charm, just right for when you're ready to come back to base for sustenance. Of course, Izi, the hotel's Japanese restaurant, is no slouch when it comes to fresh and tasty with the 24/7 fitness suite and gym and the W's legendary whatever/whenever service all assisting in your quest to take New York City by storm. The sleep: No less than eight different types of room and suite ensure you'll be spoiled for choice with floor to ceiling mirrored head boards creating that spacious feel that's essential for living in the city. Sleek and contemporary linear designs combine to full effect with comfy beds and plush robes with high-speed internet access, DVD and plasma TV ensuring entertainment is always first-class, no matter what you're into. Little extras in the mini-bar and in the bathroom add to the attraction with the awesome signature Munchie Box on hand, just in case you fancy taking a bite before or after crunching into the Big Apple. The scene: If you're hankering for some 360 degree views over New York City then Gansevoort Meatpacking never fails to deliver with the sun going down over the Hudson most definitely a highlight along with a never ending panorama over the whole of Manhattan. Set within the uber cool downtown meatpacking district this is urban luxury living and then some with the artisan quarter of Chelsea, the restaurants and diners of the West Village and the blooming marvellous foliage of the High Line all just a short wander away. The stay: From all day American fare, either alfresco on board walks or indoors on plush leather sofas, at the Chester, to the cool blue Mediterranean hues, food and cocktails of Zerzura at Plunge, nothing has been left to chance when it comes to fun and fabulous socialising almost around the clock. 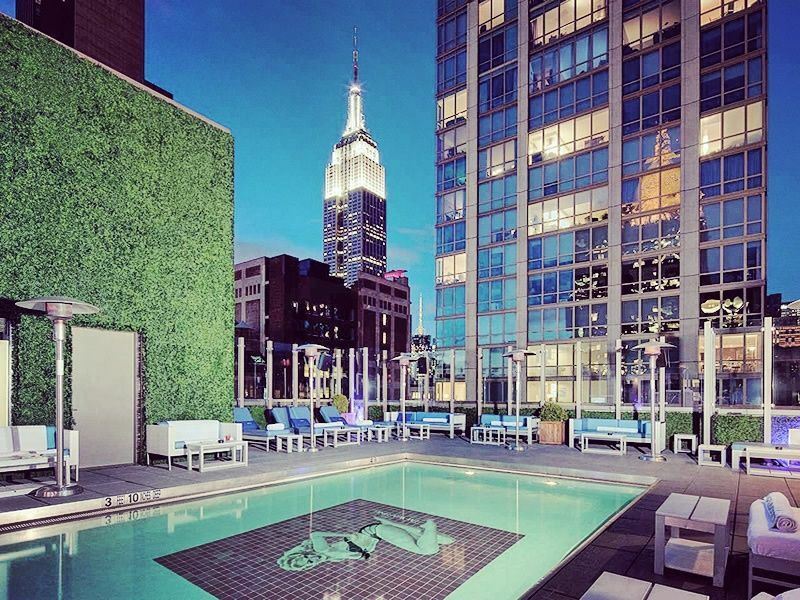 Chilling on a hot New York summer day at the rooftop pool, taking advantage of complimentary tea, coffee and a cheeky slice of customised cake, or working out at the 24hr fitness centre, Gansevoort Meatpacking has got you covered when it comes to luxury living in downtown NYC. Whatever you fancy doing before you hit the town: a swim, an exercise class or a wonderfully therapeutic massage, this place has got the lot; so come see for yourself and get your hands on your very own Gatsby, the Goose. The sleep: Just shy of 190 large guest rooms and suites provide generous accommodation with far reaching loft ceilings, king and queen size beds, and 400 thread cotton linen offering the very best in style and comfort. A Bluetooth sound system, free WiFi and LCD plasma TV conjures up the in-room entertainment with huge marble bathrooms, a wealth of natural light and floor to ceiling mirrors enabling guests to get themselves ready for a night on the tiles. With a sensible range of room rankings, from Superior to Duplex Presidential Suite, one night at the Gansevoort is never enough with loads of complimentary extras to make your stay all the more sweeter. 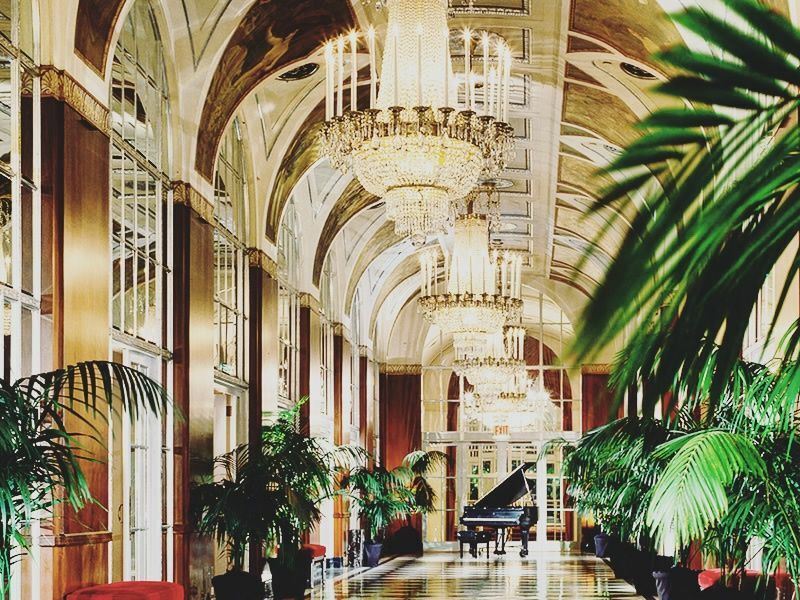 The scene: Just the name the Waldorf Astoria is dripping in more than a century of nostalgia with a legendary heritage that manages to incorporate the Titanic, Hollywood, Jazz and the icons of New York City within one amazing accommodation package. Occupying exclusive space between Park Avenue and Lexington Avenue, the Waldorf Astoria is prime Manhattan real estate with the MoMA, Times Square, Bryant Park, Central Park and St Pat's Cathedral all easily accessible on foot. The stay: Always top of the pops when it comes to dining facilities, the Waldorf Astoria boasts fine dining in Chinese, seafood, steakhouse style with the Peacock Alley Restaurant the perfect place to indulge all of your senses whilst hob nobbing with Manhattan's well to do. Cocktail bars, mahogany panels, intimate surroundings and exotic twists, there's a reason why eating and drinking at the Waldorf Astoria has been the thing to do when visiting the Big Apple for the past 100 odd years. With the Guerlain Spa offering all manner of massages, treatments and luxury touches, in all the right places, and the hotel's 24hr fitness centre inviting guests to work out on state-of-the-art equipment, there's no denying that if you've got plans to really see the best of New York then right here is where you come to do it right. The sleep: Guest rooms and suites are nothing short of superb with an elegant arrangement of amenities combining with luxurious linen, signature Serenity beds and beautiful marble made bathrooms. Contemporary fixtures and fittings include: Cable TV on flat-screens, WiFi access and work space with theatre style drapes and awesome city views adding to the overall choice of Deluxe, Superior or Luxury settings. The scene: The Fifth Avenue location says it all and if you're hoping to experience an elegant and modern twist on luxury living in New York City then check into The Regis and find out what life is really all about. The Midtown Manhattan setting provides the very best shops, museums, parks and entertainment venues that have given the city that never sleeps such an apt moniker and if you're looking to get out and explore then you'll find the entire world waiting for you straight off the stoop. The stay: Recently renovated and redesigned to incorporate all the drama and the style of life just steps away from the hotel front porch a stay at the St Regis is always as comfortable as jaw dropping with numerous interior frescos, chandeliers and polished marble work offering the WOW factor straight from the get go. Astor Court and the King Cole Bar offer the very best in glamour and fine dining options with no cutlery left unpolished when it comes to guests' pure and simple delectation. International cuisine and a legendary former guest list help to produce a meal time experience not to be missed with the exclusive Table 55 only for the top aficionados, you know who you are. With a business centre, concierge services and the St Regis Athletic Club all on hand to help you come up smelling of roses, this is the place to be for those who like a little bit of glamour in their lives. 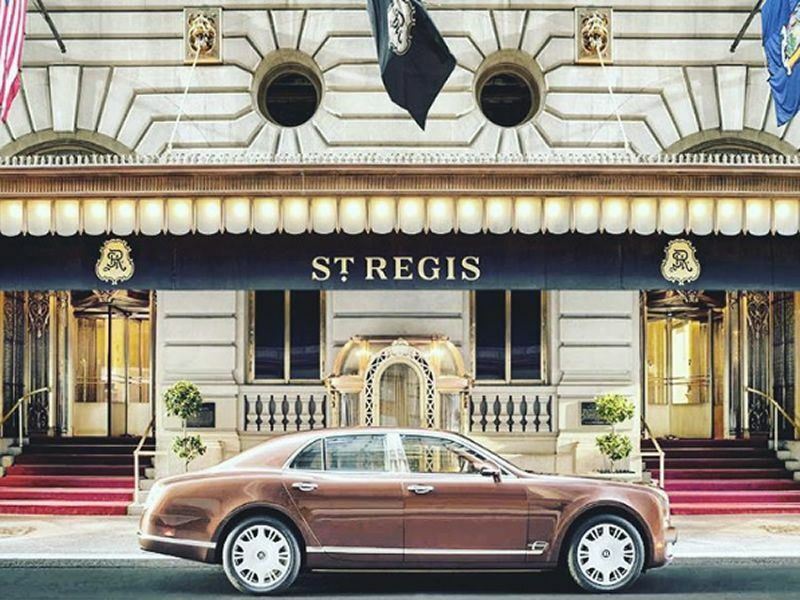 The sleep: Almost 200 luxury guest rooms and suites allow The Regis to truly shine within the NYC tiara with space, design and innovation combining to wondrous effect across the entirety of the hotel property. From contemporary tech to deep and rich colour schemes, every effort has been made to satisfy every guest sensation with butler services, free internet access and silk wall coverings helping to waft you into a wave of sophisticated charm and elegance before gently lulling you into a calm and restful sleep within custom designed furnishings and a gigantic king size bed. The scene: Privately Parisian but still totally New York, the Baccarat Hotel has become the first name in art, design and décor on West 53rd Street right in the heart of Manhattan's exclusive brownstone Chelsea neighbourhood, just a short walk from the Empire State Building, Madison Avenue and the Whitney. This is some seriously sumptuous living space with the finest in French fanciful sophistication and style exuding from every pore of the Baccarat's oh so splendid facilities. The stay: Come for the Parisian ambience and stay for the gastronomy as the Grand Salon, Chevalier and Le Bar will leave you nothing short of breathless with delight. Cocktails, cut crystal, a 64 arm chandelier and silk draped walls, nothing has been left to chance when it comes to guest satisfaction. Away from the fine dining options the luxury French theme continues in Spa de la Mer where you'll discover treatments, formulas and four intimate pampering rooms evoking memories of the sea far from the maddening streets of NYC. 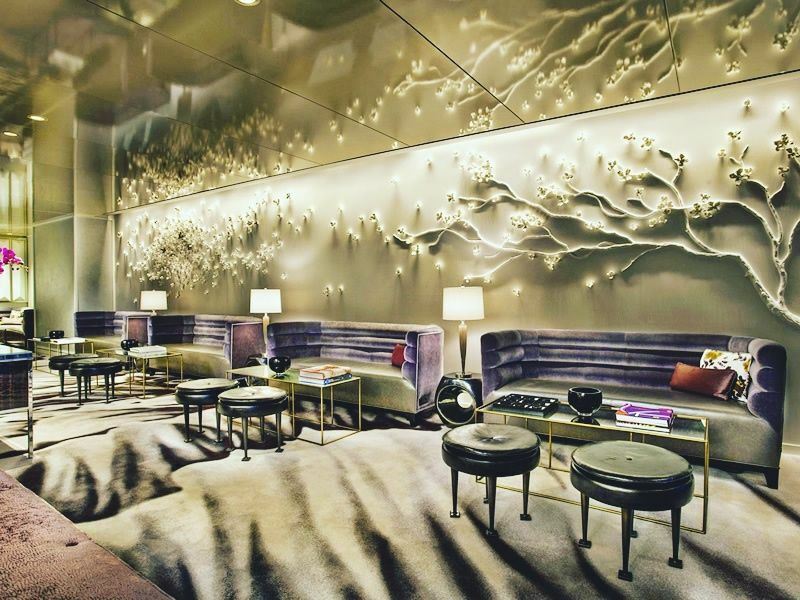 From a secluded swimming pool to a 24hr fitness, freestyle and gym work out space, the Baccarat Hotel totally covers all luxury bases with numerous cultural events marking your stay in New York as much more than just another city break. The sleep: Just shy of 115 guest rooms and suites provide sublime accommodation for those who are looking for a delicate dash of France in New York with boudoirs featuring generous king size beds, Baccarat crystal fixtures and white marble bathrooms alongside massive flat-screen TVs hidden behind smoky mirrors, complimentary high-speed internet access and a full range of amenities as supplied by Maison Francis Kurkdijian Paris. In-room dining options, a 24hr concierge and a direct connection to housekeeping all go to keeping guests in the manner that they've no doubt become accustomed to with upholstered chaise, cashmere throws and Ruinart champagne in the red lacquer mini bar setting the scene still further.